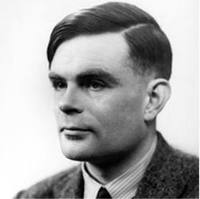 Update (11/23/2013): "Now, nearly half a century after the war hero's suicide, Queen Elizabeth II has finally granted Turing a pardon." (http://usat.ly/19bLZET) Long overdue!!! "Turing's homosexuality resulted in a criminal prosecution in 1952, when homosexual acts were still illegal in the United Kingdom. He accepted treatment with female hormones (chemical castration) as an alternative to prison. He died in 1954, just over two weeks before his 42nd birthday, from cyanide poisoning. An inquest determined it was suicide; his mother and some others believed his death was accidental." 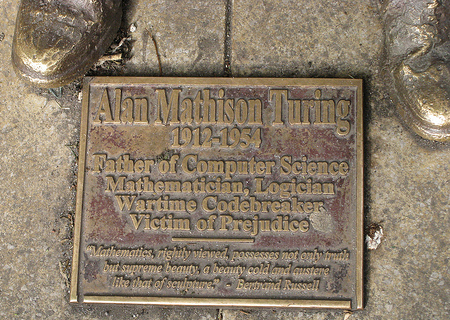 Imagine my disappointment over the treatment of a man who has given so much to his country, to the world, to the mankind - Alan Mathison Turing. "On 10 September 2009, following an Internet campaign, British Prime Minister Gordon Brown made an official public apology on behalf of the British government for the way in which Turing was treated after the war." Special thanks to Ian Watson for his blog post, which includes the full text of the apology as well as photo of the original letter! Thanks a lot! I hope you don't mind me linking to your post.